Broccoli in the Tabbouleh? Crazy! This week at the Farmer’s Market one of my favorite farmers, Tom (pictured below in the Farmer’s Market pics) said that this might be the last week he would have broccoli. Well broccoli really wasn’t on my list this week but I couldn’t pass up fresh broccoli or Tom, knowing full well he probably had a special bag of broccoli just for me. So lucky for me I was going to make Tabbouleh for this weeks lunches. I did this trick a few weeks back when I made this dish for my two girlfriends Sadie and Alisa after they had just had their babies, it’s a fresh dish that can be made ahead and know one would ever know there was broccoli in it, sneaky I know. But if you eat out of my kitchen you should know I’m always hiding extras in the food. 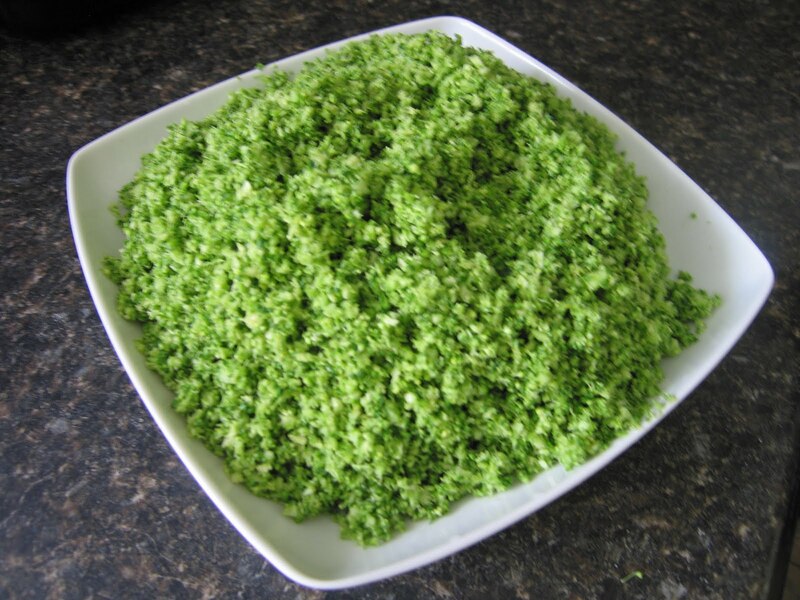 I take the broccoli, cut away the stems, take the florets and put them into the food processor and pulse it down until it’s about the size of the Bulgar wheat. I don’t cook the broccoli, I kind of like different textures in my food and thought it was a great way to add something raw to the Tabbouleh, as well as hide vegetables in my husbands lunch. So when you get to the part in the recipe when the Bulgar has had time to soak up the water, lemon and olive oil, add the chopped broccoli along with the fresh herbs and mix. I hope this trick works at your house. Enjoy! P.S. The original Tabbouleh dish was posted 07/01/09.